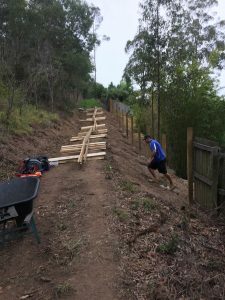 The suburb was Eatons Hill, and as the name describes ‘Hill’, a steep one it was! 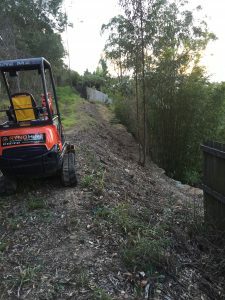 A digger was used to transport the materials to the site where the timber fence was being built, as there was no vehicle access from the road at the bottom of this steep hill. Bags of cement were used as there was no access for a cement truck. The timber posts, railings and palings also had a ride with the digger! 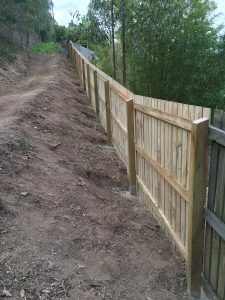 Matt and Sam certainly had a workout completing this job! 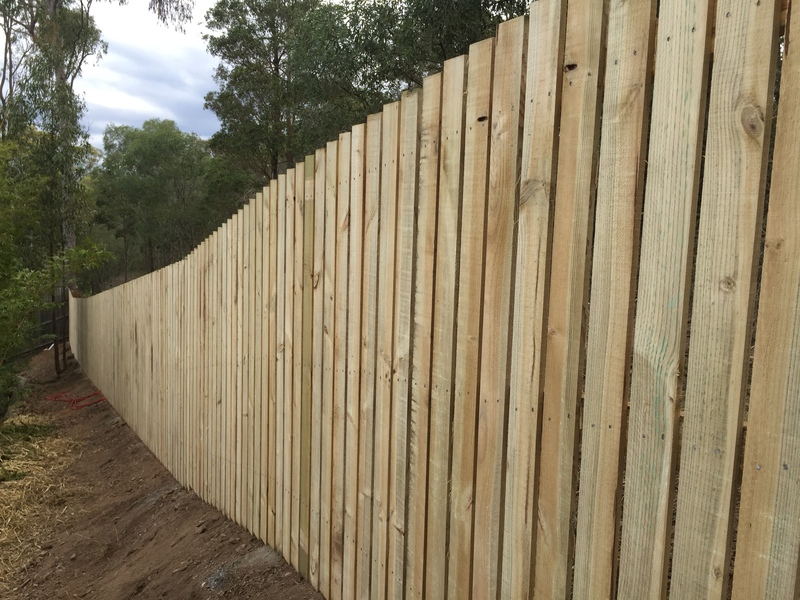 If you have a timber fence that requires repairs or replacement, please phone Matt for an obligation free quote . 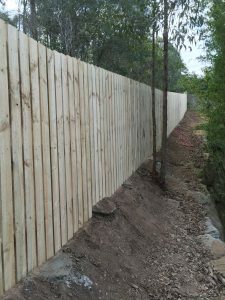 We offer our services on the North side of Brisbane.